KABUL: Anti-government elements must immediately end the indiscriminate and disproportionate use of all improvised explosive devices (IEDs) in areas frequented by civilians, said UNAMA in a special human rights report released yesterday. The special report – titled “Increasing Harm to Afghan Civilians form the Deliberate and Indiscriminate Use of Improvised Explosive Devices” – documents a sharp increase from 1 January – 30 September 2018 in the killing and maiming of Afghan civilians by IEDs, which have caused almost half of the civilian casualties from conflict-related violence. The special report outlines serious concern over the increased number of deliberate and indiscriminate attacks by anti-government elements against the civilian population. These attacks primarily involved the use of suicide and non-suicide IEDs: bombs designed, planned and placed to detonate among crowds of civilians to kill and maim Afghan men, women and children; destroy livelihoods; disrupt lives; and create terror among survivors. The report identifies the victims of these deliberate attacks as including midwifery students and students preparing for university entrance exams; players and spectators at cricket and wrestling matches; worshippers at mosques; humanitarian aid workers; education officials; civilian government staff providing essential services to Afghans, as well as civilians seeking to access those government services; and election workers, and men and women attempting to participate in the electoral process. Of grave concern, the report documents how medical personnel and journalists responding to suicide and other IED attacks were also targeted with such devices. “Deliberately targeting civilians is a war crime and cannot be tolerated,” said Tadamichi Yamamoto, the UN Secretary-General’s Special Representative for Afghanistan as quoted in the report. Suicide and other IED attacks directed at the civilian population as well as the indiscriminate use of these tactics are serious violations of international humanitarian law. 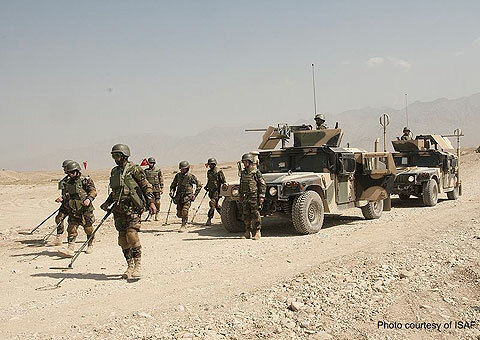 The widespread use of IED attacks directed against Afghanistan’s civilian population, including religious or ethnic minorities, may amount to war crimes or crimes against humanity, and requires investigation by competent authorities. UNAMA maintains that all parties must immediately cease the deliberate targeting of civilians and civilian objects, and provides recommendations in the report for immediate measures to be taken to prevent further civilian deaths and injuries from these attacks.